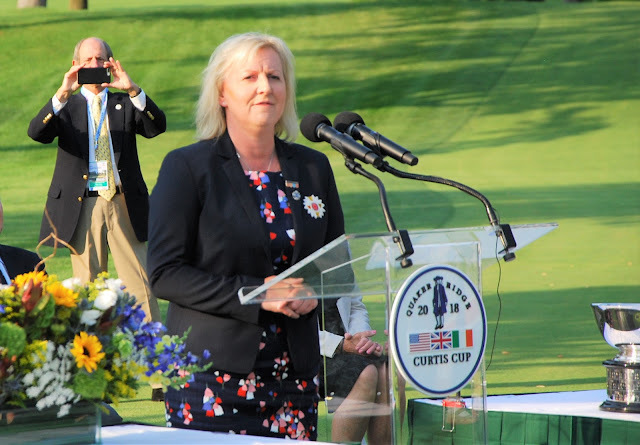 GB and I team captain Elaine Farquharson-Black's speech at the flag-raising ceremony at the 40th Curtis Cup match at Quaker Ridge Golf Club, New York State. GB and I Curtis Cup team captain Elaine Farquharson-Black (Deeside) made some late decisions with regard to her line-up for the opening four-ball ties on Day 1 of the 40th Curtis Cup match against the United States at Quaker Ridge Golf Club, New York State. Elaine took into account the form of players in the final practice session in the morning. Mrs Farquharson-Black captained GB and I in their victory over the Americans at Dun Laoghaire GC near Dublin. No GB and I team has won consecutive Curtis Cup matches since 1986 (13-5 GB and I at Prairie Dunes) and 1988 (11-7 GB and I at Royal St George's). 9.05 Olivia Mehaffey and Sophie Lamb v Jennifer Kupcho and Lucy Li. 9.17 Alice Hewson and Lily May Humphreys v Lilia Vu and Kristen Gillman. 9.29 Paula Grant and Shannon McWilliam v Lauren Stephenson and Sophia Schubert. In terms of current world amateur rankings, it is the strongest USA team in living memory - Six of them are in the top 10 and the other two are Nos 15 and 22. 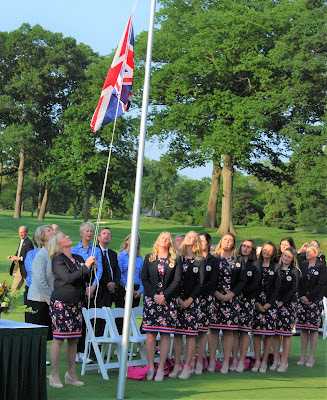 In contrast, only Olivia Mehaffey from Northern Ireland - at No 16 - is the only GB and I player in the top 30.